Joy to the world. The Christmas 2017 is upon us. Get loads of sample Christmas greetings, prayers, quotes and goodwill messages for the celebration of the birth of our Saviour, Jesus Christ. It is a great collection of sample messages that you can send to relatives, colleagues, staffs, friends, customers, acquaintances, workmates, schoolmates and other loved ones. JUST AS OUR CHILDHOOD MEMORIES OF HOLIDAYS PAST ARE SUCH HAPPY RECOLLECTIONS NOW. MAY YOUR CHRISTMAS SPARKLE WITH MOMENTS OF LOVE, LAUGHTER AND GOODWILL. AND MAY THE YEAR AHEAD BE FULL OF CONTENTMENT AND JOY. HAVE A MERRY CHRISTMAS AND WE LOOK FORWARD TO SEEING YOU IN THE NEW YEAR. 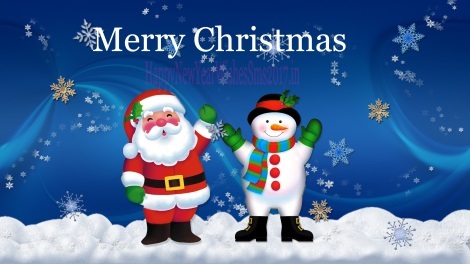 MAY THE CHRISTMAS SEASON BRING ONLY HAPPINESS AND JOY TO YOU AND YOUR ADORABLE FAMILY. WE MISS YOU AND HOPE TO SEE YOU IN THE NEW YEAR. WARMEST THOUGHTS AND BEST WISHES FOR A WONDERFUL CHRISTMAS AND A HAPPY NEW YEAR. MAY PEACE, LOVE, AND PROSPERITY FOLLOW YOU ALWAYS. TO A JOYFUL PRESENT AND A WELL REMEMBERED PAST. WE RAISE A GLASS TO YOU THIS CHRISTMAS ALL THE WAY FROM PAKISTAN. BEST WISHES FOR A MERRY CHRISTMAS AND A MAGNIFICENT NEW YEAR. WISHING YOU A VERY MERRY CHRISTMAS AND WE LOOK FORWARD TO SEEING YOU IN THE NEW YEAR. WHEN I WOKE UP THIS MORNING I WAS EXCITED. CHRISTMAS IS HERE AND I WILL SEE YOU TODAY. FOR SO MUCH LONG I PRAYED AND WAITED. I LOVE YOU AND WISH YOU A MERRY CHRISTMAS! MAY YOUR CHRISTMAS BE ALSO AS SPECIAL AND UNIQUE AS YOU ARE MY LOVE! and love for Christ whose birth today has brought yous good tidings of joy and goodwill. may your joy know no bounds, and a prosperous year awaits you and yours. a blessed gift of hope and love. you all through the Year. and joy younlimited this season and beyond. let earth receive the King.